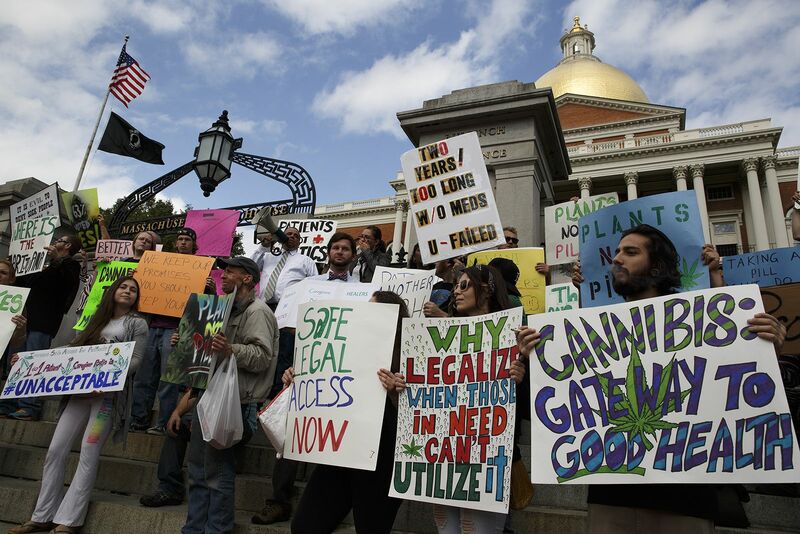 Marijuana in Massachusetts: Would Legalization Cause A Domino Effect On The East Coast in 2016? Massachusetts is likely going to be one of the next states to legalize weed. According to experts, the current mobilization could easily extend to surrounding states. The eastern seaboard of the United States may be in for a sweep of marijuana legalization in the coming years. That’s because Massachusetts is likely going to be one of the next states to legalize weed: voters in that state will decide whether recreational weed use should be made legal this year. And according to Colorado-based Sage Analytics, the current mobilization in Massachusetts could easily extend to surrounding states. “Massachusetts has been a bellwether state on a lot of issues,” says senate president Stan Rosenberg, adding that this is partially due to it being the largest New England state. Given that trend pattern, then, it wouldn’t be unreasonable to expect marijuana legislation to unfold in a similar way. The drug has already been approved for medical use in Massachusetts, but it took three years for the first dispensary to open. Now, the state is looking closely at the prospect of legalizing recreational use. Attorney General Maura Healey gave the go-ahead for two competing activist groups, Bay State Repeal and The Campaign to Regulate Marijuana Like Alcohol, to start gathering voter signatures. The former wants to legalize pot without charging anything above and beyond the state’s 6.25 per cent sales tax. The latter, on the other hand, is proposing state and local taxes of up to 12 per cent. The higher cost would, they say, would cover a new commission to regulate retail stores selling weed. Government officials are getting in on the research, too. Eight senators traveled to Colorado earlier this month to scope out a state with legalized access, visiting dispensaries and picking the brains of government there. The idea that legalization would spread from Massachusetts to other states is a logical one, even just from an economic standpoint. If patients in neighboring states are forced to travel out of state for their pot, they’ll be contributing to the tax pot of a state other than their own. And that should be a major concern for governments: Last year, Colorado raised a considerable sum from marijuana taxes–$70-million, to be exact, which is almost double the amount brought in by alcohol sales. While these potential developments look somewhat likely, they’re just speculation at this point. Voters will be the ones to decide what happens, and that won’t be until November of this year. Are you a Massachusetts local? Share your thoughts on the legislation reform with us on social media or leave us a note in the comments section below.